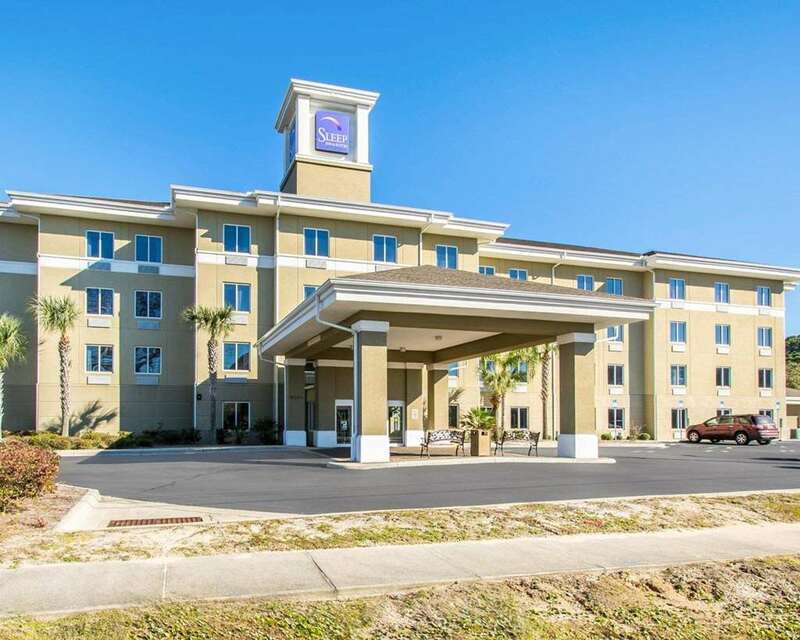 Fuel up with complimentary breakfast and take advantage of the free Wi-Fi at the non-smoking Sleep Inn & Suites Panama City Beach which offers everything our guests need for a beach getaway. Each of the 90 rooms in the four-story hotel is decked out with a microwave mini-fridge flat-panel TV free Wi-Fi and local calling at no charge. Start your day with a complimentary continental breakfast. Splash in the outdoor pool or work on your tan on the spacious sundeck. Stay in shape at the fitness center. The business center offers fax and copy services a public computer and a printer. Pets permitted for a fee. The pristine Panama City beaches are one mile from the Sleep Inn & Suites. Pier Park shopping food and entertainment is five miles away. Mini-golf for the kids and more serious courses for the adults can be found less than two miles away. The hotel is located less than five miles from Florida State University Panama City. Panama City-Bay County International Airport is seven miles away and Northwest Florida Beaches International Airport is 18 miles from the property.